To the surprise of absolutely no one, a lot of the basis for Sailor Moon is related to historical precedent. The magical items on display in the series are really no exception. And there’s how the infamous Moon Stick stuck, if you will. Yes, I love puns. While this is by no means an exhaustive list, we’re going to take a look at some of the more famous sticks magical girls were using in the 80s and 90s to battle the forces of evil. Though by no means the first, I think I’d be remiss if I didn’t mention right off the bat The Masked Belle Poitrine,2 a 1990 live-action tokusatsu show that Sailor Moon borrowed heavily from. As the series continued on, Yuko Murakami’s (Poitrine) younger sister, Momoko Murakami, joined her in the fight against evil as Poitrine Petite. Among Poitrine Petite’s magical arsenal was the aptly-named “Stick,” which she used both to transform and as her weapon, the “Belle Saber.” It’s also definitely worth mentioning that Poitrine was produced by Toei, the same company behind Sailor Moon. Another favorite stick wielder of the era would be everyone’s favorite Magical Princess Minky Momo,3 which ran on Japanese television from 1982 through 1983 and was kept alive through the 1980s in the form of OVAs. If you’re an old-school anime fan, you may recognize her as the titular Gigi of The Magical World of Gigi, as it was known in its heavily-edited form outside of Japan. Momo used her “Minky Stick” to transform into an adult – well, 18 year old – version of herself and transform into a variety of costumes, not much unlike Usagi’s Disguise Pen or Minako’s Crescent Compact. Her transformation scene, with all the gymnastics ribbons and moving around, is definitely reminiscent of the Sailor Moon transformation sequences. Another important stick enthusiast is Creamy Mami of the 1983-1984 anime hit, Creamy Mami, the Magical Angel.4 Armed with her “Creamy Stick,”5 which was kept hidden away in her locket until she needed it, 10-year-old Yu Morisawa – the main character of the series – could transform into the 16-year-old idol, Creamy Mami. She was also able to use the various spells together with the Creamy Stick to perform other types of magic. And that’s just those that pre-date the Sailor Moon series. Don’t get my started on Saint Tail and the Illusion Wand or other examples. So why did I just bore you to death with a history lesson behind famous Sticks in Japanese children’s media? Well, like many of the other things we discuss, it helps to get a look not just at Sailor Moon as a series, but at the times in which the series existed. Looking at it from the point of view of a native English speaker, the name comes off as pretty dull and rather uncreative. 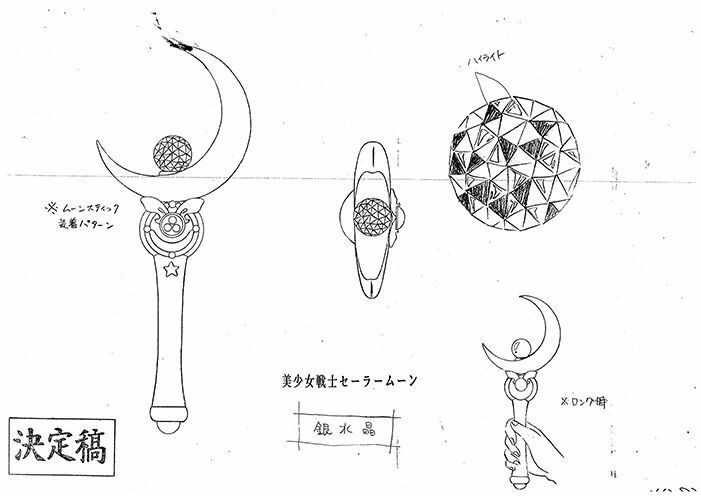 But when you look at what many of the magic wands were referred to at the time, and particularly among series which seemed to have a strong influence on Sailor Moon, it was simply a normal name to use. 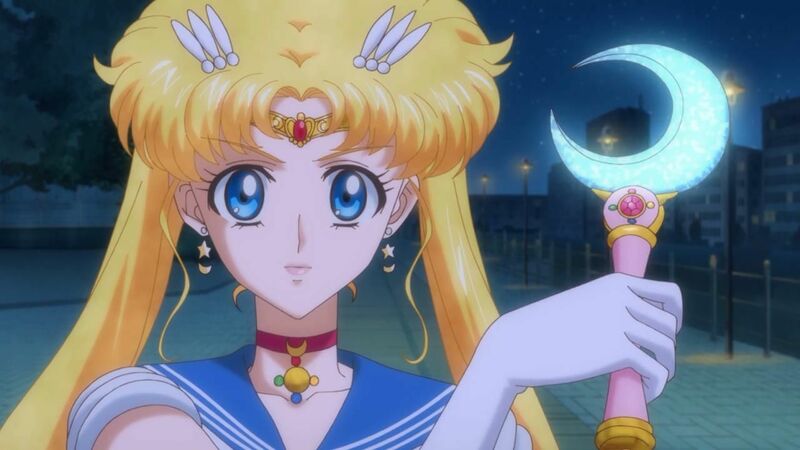 Personally, while I’m not much of a fan of the name, I have to say that the Moon Stick is my favorite of all of various rods Sailor Moon wields as the series progresses. Maybe it’s just nostalgia, but I love how it later combines with the Silver Crystal. But what about you? What’s your favorite of the moon wands, and why? ← What Do We Know About DALI, the Band Behind Moonlight Densetsu? Wow, that Minky Momo sequence was uncannily familiar. Reminded me of Mercury and Venus’s transformations, I think. My favorite of Sailor Moon’s rods is probably the Cutie Moon Rod. I always liked the heft of it. Like she could just use it to bash someone over the head with it. Oh right, didn’t Tuxedo Mask beat her with it? Oops. My least favorite is the Eternal Tiare. That thing was a mess, especially with it’s little upgrade thing. Though I think part of my dislike is the lazy coloring and how overall chunky look it had. It had a slimmer shape in the manga, but I honestly can’t recall seeing it in color. Also, I’m not a fan of the Kaleidoscope either, if I’m honest. The Dream Arc was a bit of a snooze fest, though. I always assumed that the stick/wand/rod theme fairly common to Mahou Shoujo, was intended as something of a throwback to older magic themed shows/films such as Bewitched/Mary Poppins, that were very popular in Japan at the time. And indeed helped spawn the genre with the likes of ‘Sally the Witch’ (also made by Toei). Luna being a black cat is possibly also a nod to old-school witches. And of course the Japanese do love to use random English words much the same way we use say, Latin to name things. Even if it’s nothing remarkable, saying something in a foreign language does sound cooler most of the time. To answer your question, I like the Moon Stick too for its simplicity. Though I also have a personal fondness towards the Kaleidoscope., which has a kind of elegance towards it. On the subject. Even though Sailor Moon wasn’t that seemingly revolutionary, I’m curious to what made it stand out and more iconic compared to it’s predecessors in it’s home country. Did it come out just at the right time? Or was it simply more appealing to a wider audience with the likes of it’s Sentai influences. The first one is self-explanatory, but the second one is always something that’s interested me about the beginnings of the series. From the word “go,” it was always meant to be a huge “mixed media” project, meaning that they had toys, an anime, and manga all lined up to hit the market as soon as the project went live. The manga was advertised heavily in Nakayoshi and the anime was pushed on TV Asahi’s best timeslot, at 7pm on Saturdays. When you read Ms. Takeuchi’s liner notes and the Materials Collection, you’ll see her occasionally mention some of the back and forth she had when originally designing the characters and creating the setting for the Sailor Moon universe. Considering how much money – and how many media powerhouses – were involved, I don’t think it’s too surprising that at least the first season of Sailor Moon hit the level of fame that it did. But the fact that it was able to sustain that popularity is credit to the skill of the creative people behind it. I haaaaaate the name “Moon Stick”. When I realized that’s what it was called, I was so disappointed. But I do understand why that name was used. And this is also my favorite rod as well. It’s simple and shaped like the moon. The other stuff started getting complicated. It’s also one of the few rods/wands that – to me, at least – felt like it actually had a purpose and was explained away decently enough in the story. Once the seasons moved on and she just kept upgrading from one wand to the next, it just kind of felt like the new season powerup, with no real good story reason for the upgrade. But obviously each person has their own preferences! I use the term “Moon Wand” most of the time, I think it was made up by DiC, but it sounds better to me. And my favourite weapon? The Moon Kaleidoscope, because it reminds me of sword. Same here. Even though I know it’s incorrect, I just can’t bring myself to say the name “Moon Stick” seriously in conversation. Not a problem at all! I really appreciate you pointing this out. I try to be as accurate as possible, but there are a lot of other series that I only really have a passing understanding of, so I just do my best to be as super vague or check my sources to the extent possible. I’ve edited the article now.